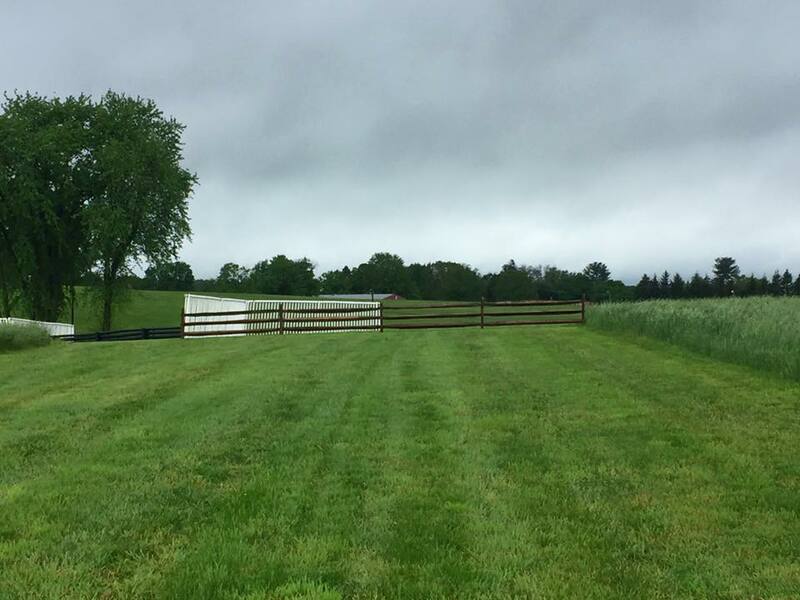 The previously scheduled SSCF jump race assessment & jump race clinic in PA on Sun, March 4th has been RESCHEDULED to a jump race assessment ONLY on Sun, March 11th, due to ground conditions and the forecast for more rain this week. We are still finalizing the location, but it will be in either Unionville/Radnor-area in PA or northern MD. It will start at 10AM and last approximately 3/4-1 hour. The registration form is on the "forms" page of the SSCF website: https://www.sidesaddlechase.com/forms. Second, we will have another race assessment *and* race clinic in Virginia on Sat, April 7th. Remember, all riders MUST attend at least one race clinic per year in order to maintain their eligibility. April 7th is also the date of our black-tie BENEFIT GALA -- So come for the clinic in the morning and then dance the evening away! You can find more information on the gala and buy tickets on the website: https://www.sidesaddlechase.com/gala/. Also, we are having a gala sponsor appreciation happy hour on Fri, March 23rd, from 4:30-6:30 PM at the King Street Oyster Bar in Middleburg, VA. Not only has this event been graciously sponsored by Visit Loudoun, but the Oyster Bar is donating 10% of their total sales from happy hour to the SSCF! So please come out to thank our gala sponsors and directly support the SSCF! I have attached the "invites" for the gala and the gala sponsor happy hour -- please feel free to forward them and share with your friends! Third, all 2018 race invites have been emailed to those horse/rider pairs who are current SSCF members and assessed in VA in January, or are grandfathered in from racing last year. Please remember, you and your horse need to be a current 2018 SSCF member in order to be invited to race, so join today if you want to race in 2018! Please see the 2018 Condition Book on the website for information on racing sideways through the SSCF. We hope to see you at the races and the SSCF's spring events -- it's going to be an exciting year! SSCF Hunting Weekend & Awards Reception! SSCF Race Assessment & Hunting Clinic in the Middleburg Countryside. 12:00-2:00pm. Become familiar with the countryside that you will be hunting on the weekend. Jumping and non-jumping options. Horse/Rider pairs who attend may request to be assessed for SSCF flat races. Open at no cost to all current SSCF members. Member meeting & cocktail party at Cherry Blossom Farm. 6:30-9pm. All SSCF members are invited. Hunting with Middleburg Hunt. Drinks & nibbles to follow. The MFHs have graciously offered all 2018 SSCF members hunting aside to be their guests. Jumping and non-jumping fields. Time TBA. 2017 SSCF Awards Ceremony & Reception at the National Sporting Library & Museum. 4:00-6:00pm. Enjoy food from the Side Saddle Café and celebrate the accomplishments of the SSCF members! All 2017 & 2018 members and a guest are invited to attend. Additional tickets are available for $25/pp. Hunting with Snickersville Hounds from Sunnybank Farm. Tailgate following kindly hosted by Maggie & Rob Johnston. Jumping and non-jumping fields. $100 cap fee. Time TBA. Entries are in for Willowdale! Amazing new Jumps! And WOW, the prizes!! Thanks to all the sponsors! The entries are in for Willowdale! Here are some pictures from the course! We forgot to take a picture of fence 2 but it is identical to the other post and rail jumps. All measure 3' and the post and rails will be brushed prior to the race. It's a beautiful piece of land and an equally beautiful course. Many thanks to the Willowdale committee for including us on their card, and for building us these new beautiful jumps! All riders will be eligible for a raffle prize to be drawn and presented at the prize ceremony, this is the popular Thinline half pad donated by Thinline, Inc.
Best conditioned TB and non TB will win a bridle each donated by Lund Saddlery. Best turned out will win a gorgeous hand-made in Italy necklace and a cosmetic collection. These donated by no 109 Shop and Houppette respectively . The winning rider will take home a keeper trophy from Willowdale, a decanter given and presented by the National Steeplecase Foundation AND a portrait of the winning horse to be painted by local amazing artist Mark Rowland, WOW!! Be sure to checkout his website for work samples, his work is absolutely fantastic!! Gorgeous ribbons for all riders donated by Lund Saddlery. We are so excited and so appreciative of all the generous prizes, please be sure to look all these people up on social media, give them a like and a thank you!! Can't wait to see you all on May 14th! For more info and tickets, see Willowdale Steeplechase. Loudoun Point to Point Races - What a Day! The first SSCF race of the season is over, and what a day for riders, horses, and spectators! We had a great turnout in both races. Everyone was at Oatlands early for the 9:15 AM course walk, and we so appreciate the attention that everyone gave. The weather quickly became summer-like, so jackets were deemed optional. The SSCF, race spectators and Loudoun race officials could not have been more pleased with the way the races ran! All horses and riders had been properly prepped, and while the riders rode safely they were still very much racing -- based upon all of the video, there is no doubt that the crowed was fully engaged! Tilly - Andrew J. Camp - Russell E. Shifflett, Jr. - Russell E. Shifflett, Jr.
Reddington and King of Hearts made most of the running. With a quarter mile to run Reddington pulled away to an easy victory. Winning Margin: 7 Winning Time: 1:48 3/5 Turf: firm. Reddington (reg. Turn Red), ch. g. 2008, by Turn West out of Violet Ransom, by Red Ransom. Middleburg Photo, the SSCF's official photographer, again was on par for the day, and took some amazing shots of everyone before, during, and after the races. You can view their galleries here. There is also helmet cam video from the jump race, which can be viewed here. A special thanks goes out to Greenhill Winery, Tri-County Feeds, Fashion, Finds, and Side Saddle Café/Fields of Athenry for allowing us to hold our awards ceremony in their tent on the race course and providing everyone with food and libations. The New SSCF Hunter Pace Award Series! The SSCF is very excited to announce the creation of a new Hunter Pace Award, which is open to all rider and horse members of the SSCF who complete a hunter pace or team chase in a side saddle. The awards, including a trophy and ribbons to 8th place, will be presented to riders/horses in both the jumping and flat sections at the SSCF's annual end-of-year awards ceremony. For more information on the Hunter Pace Award, or if you are interested in sponsoring this or another SSCF award, please contact SSCF VP, Maggie Johnston. Check out the incredible menu we have planned from local Middleburg restaurant -- and huge SSCF supporter -- Side Saddle Cafe for the Wine Tasting Event on April 9th! Less than 100 tickets are available. This event has sold out in the past, so Get your tickets now before they are gone! All of the above will be paired with a variety of Greenhill Winery's award-winning wines. And of course, don't forget to bring your checkbook for the amazing array of silent auction and raffle items that will be offered! All proceeds directly benefit the SSCF, a 501(c)(3) nonprofit corporation. The next opportunity for riders and horses to be approved to enter SSCF races for the 2017 season will be at the Loudoun assessment on April 8, 2017. SSCF Wine Tasting Benefit tickets are now available! Sun., Apr. 9th, 3-6 pm. Greenhill Vineyards' award-winning wine, Side Saddle Cafe's delicious food, plus a silent auction & raffle! Join us on Sunday April 9th from 3:00 pm until 6:00 pm at Greenhill Winery & Vineyards at the 3rd annual wine tasting event! The event will be held at Greenhill Winery's fabulous Manor House at their vineyard in Middleburg, VA, and feature award-winning wines by Greenhill. While you sip, enjoy delicious catering by Middleburg’s Side Saddle Cafe - Middleburg, VA, including the finest pasture raised meats straight from their farm, Fields of Athenry, and a wide assortment of cheeses, vegetables and desserts. Roast seasoned lamb and salmon with cucumber salad are just two of the several wonderful menu items that will be offered at the event. If you are interested in donating an item, please contact event chairs Robin Somers-Strom at rsomersstrom@gmail.com or Anne D'Ignazio at dignazioa@gmail.com. Time is flying! Race Clinic, Cheshire Assessment, and SSCF benefit Wine Tasting Event! Wow, time has really been moving quickly, and the SSCF's race clinic & Cheshire race assessment is now only 30 days away! We have been incredibly fortunate to have had a rather mild winter (compared to the last 3 years), and most of our riders have been able to keep riding, hunting, and prepping their horses for the spring race season. At the Feb. 26, 2017 clinic, participants and auditors will learn from steeplechasing trainers and jockeys on how to properly and safely race your horse in a group at speed over fences while following all race rules. Whether you have previously raced aside or are interested in racing for the first time, this clinic is not to be missed! As part of the clinic, all riders and horses who wish to ride in the Cheshire race will be assessed. All riders and horses must demonstrate that they are capable of safely riding in and completing the race at the specified distance and pace, and specified height and number of fences. All must meet the horse and rider requirements listed in the Condition Book. This will really help you on race day, as you will be racing over the same course and terrain that you will practice on at the assessment. All riders and auditors (including trainers or helpers who are watching) must be members of the SSCF prior the start of the clinic/assessment. Membership forms may be found on the SSCF website on the Forms page. All horses must have a current negative Coggins, and participants must sign all required waivers. Please contact organizer Kirstie Grabosky at kirstiegrabosky@hotmail.com for additional information. All clinic/assessment registration forms must be received no later than Feb. 21, 2017. Also, please save the date for the SSCF's 3rd annual Wine Tasting Benefit! 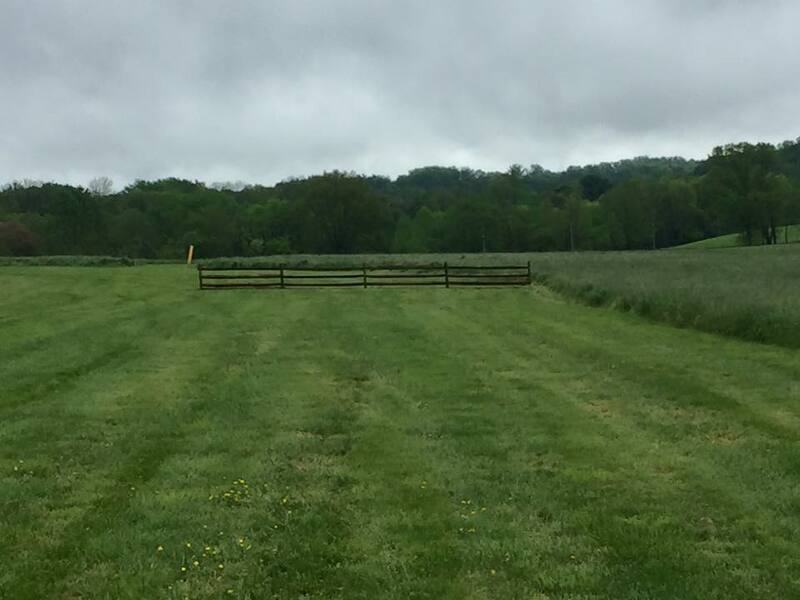 It will be held in Greenhill Winery's fabulous Manor House at their vineyard in Middleburg, VA, and feature wines by Greenhill, and food by the amazing Fields of Athenry Farm & Side Saddle Cafe. We will again feature an incredible array of items available through a silent auction, with all proceeds benefiting the Side Saddle Chase Foundation, a 501(c)(3) organization. If you are interested in donating an item, please contact event chairs Robin Somers-Strom at rsomersstrom@gmail.com or Anne D'Ignazio at dignazioa@gmail.com. A donation form can be found here. See you in 30 days, if not sooner! Chronicle of the Horse Article "Riding Aside for a Cause"
Middleburg, VA – The Side Saddle Chase Foundation announces the release of their web site and Condition Book. Side Saddle Chase Foundation co-founders Devon Zebrovious and Maggie Johnston, who organized the first all side saddle race in the United States in 2015, have launched www.sidesaddlechase.com which includes the Foundation’s race listings, related training and hunting educational events, membership forms, awards including the OVS Perpetual Trophy, partnerships and sponsorship opportunities, and a racing Condition Book. Devon Zebrovious, president of the Side Saddle Chase Foundation, describes the side saddle races as combining the elegance of riding aside with thrilling and challenging sporting competition. Ms. Zebrovious and her husband George Kuk are owners of Cherry Blossom Farm in Middleburg, Virginia. Together they have over 60 years combined experience riding in the hunter/jumper rings and hunt field. Ms. Zebrovious, a three-time national side saddle champion, has ridden side saddle for more than 15 years in the show ring and hunt field, and has taught many riders who currently show, hunt, and/or race aside. The Side Saddle Chase Foundation’s mission as a 501(c)(3) organization is to provide education on riding aside, as well as to promote point to point racing and fox chasing and the need to preserve open spaces where those pursuits are enjoyed. The addition of Side Saddle Chase Foundation-affiliated races have proven to produce increased race-day attendance and media coverage. The current spring calendar features races at Mr. Stewart’s Cheshire Foxhound in PA, Loudoun in VA, and Potomac in MD. The new Side Saddle Chase Foundation web site includes a Condition Book, which serves as the rules and requirements for current races and any future races interested in including a side saddle race. Horse and rider safety, race requirements, tack and attire guidelines as well as race and year-end awards and scoring are all included. Welcome to the brand new website of the SSCF! Our goal with this site is provide a repository of information on the SSCF, to include upcoming educational events, races, award point totals, and information on past events. We will continue to keep this information up to date in order to provide our members information when they need it. The SSCF is a 501(c)(3) nonprofit corporation, and as such we are able to accept donations to benefit the foundation. Those donations are tax-deductible for the donor. If you are interested in providing a donation, please get in touch with me or Maggie to discuss it. Thank you, and welcome to the SSCF!